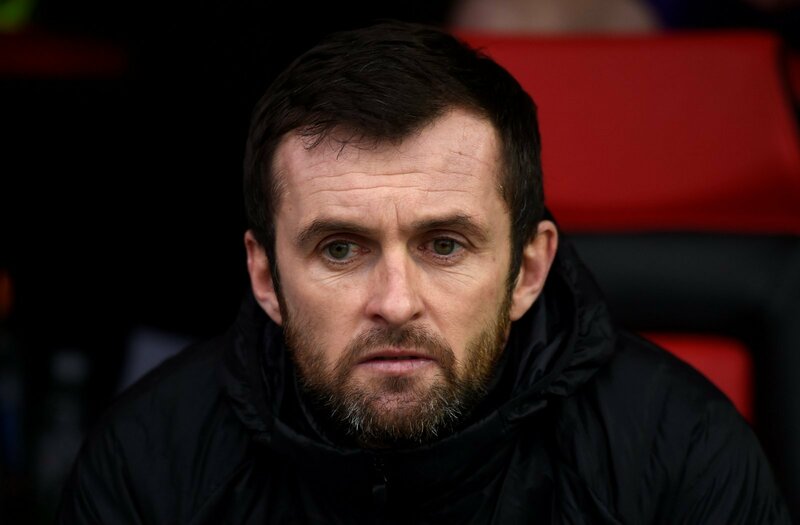 It was a bad night for Nathan Jones and Stoke City on Tuesday, as they were beaten 3-1 by Swansea at the Liberty Stadium in a game the Potters ended with just nine men on the field. First half goals from Daniel James and Mike van der Hoorn had Swansea 2-0 up, with James McClean pulling one back just before the break. Any hopes of a Stoke comeback were dealt a big blow by red cards to Bruno Martins Indi and Tom Edwards in the first 15 minutes of second period, with Oli McBurnie heading a late third to seal the Swansea victory. Another Stoke player who finished the game watching from the sidelines was Peter Etebo. The midfielder had been shown a yellow card for dissent 34 minutes into the game, and was withdrawn late in the second half to be replaced by Charlie Adam, something which Jones revealed after the match was to avoid a third red card for his side. Speaking about Etebo after the game, The Stoke Sentinel quote Jones as telling Radio Stoke: “He has to keep his discipline because any mis-timed tackle and we could have had him sent off too. Etebo, who joined Stoke on a five year deal for £6.35million from Portuguese side Feirense in the summer, has already been sent off once this season, in a 2-1 win over Derby, for a dangerous challenge on Rams defender Richard Keogh. Not much went right for Stoke at the Liberty on Tuesday night, but this was a good move from Nathan Jones. His side were already set to be short on numbers following the first two red cards, and by the point Etebo was withdrawn the game was beyond his side regardless. It’s better to have him available again to produce a response to that disappointing performance when the Potters host Rotherham on Saturday.